It has been my privilege to have known Grant Foster for many years and being familiar with his melodious and ‘romantic’ music – what I think of as ‘pure poetry’ – I looked forward to hearing this disc, particularly as the composer also performs the works. The 14 tracks of piano solos on this disc have a playing time of over 70 minutes and all but one are world premiere recordings. A good composer can conjure up a range of emotions from love to anger all of which can be heard in this collection. The first two tracks, the light Romance in C sharp minor and the darker tone of Romance in C are somewhat reminiscent of Chopin, lyrical yet engaging, with sensitive themes that linger. In the composer’s words, the programmatic Piano Sonata “is a personal response to war…the utter despair and anger, the loss and emptiness that culminate from war.” This is a big work, some 20 minutes in all. The grand opening of the first movement leads to an almost frenetic section, before calm descends in the second movement with its sense of loneliness and futility. The final movement Allegro vivace is an apt conclusion to the work. Originally to be found in Mussorgsky’s Pictures at an Exhibition, the 20090 painting by Geraldine van Heemstra entitled Bydlo [“Cattle”] was the inspiration for this work, the plodding theme enmeshed within the relentless accompaniment capturing the plodding feet of the oxen; or perhaps it’s the continual accompaniment that conjures up the image of the oxen pulling the cart. The gentle Elegy is dedicated to Sir Robert Helpmann for whom Foster was commissioned to write the incidental music to his Peter Pan, and is an apt tribute to that dancing genius. Each of the Six Preludes is dedicated to people that have influenced the composer. These pieces are technically demanding as well as being narrative, No. 1 for instance, opens with the tolling of a death bell but all have a melodic foundation that underpins their construction. The final work Ballade is described by the composer as “a musical Landscape” that depicts the highs and lows of a love affair. 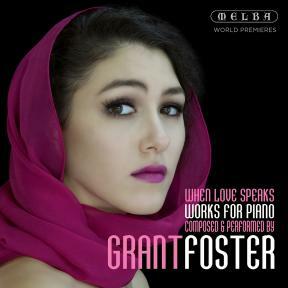 Grant Foster has been described as a “romantic composer living in a post-modern age” and with this music, I believe we are seeing a return to pure melody, music that makes sense to the listener, one where a story is uppermost and with no apologies. The harmonic structures that underpin the music are solid and melodic interest is uppermost. For the studio teacher, the works on the disc can be used to demonstrate how a 21st century composer can capture the emotions surrounding programmatic, romantic music that has current relevance.